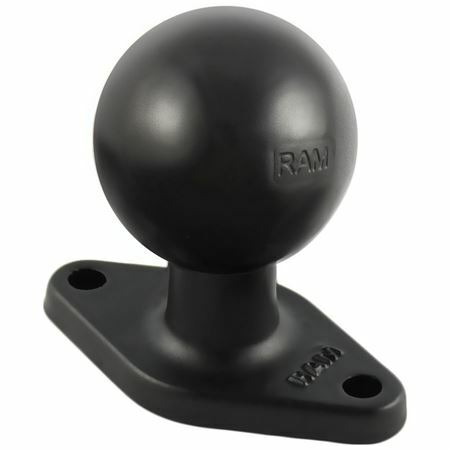 The powder coated marine grade aluminum base contains a 1.5" diameter rubber ball connected at right angles to a 1.25" x 2.5" inch diamond plate. The powder coated marine grade aluminum base contains a 1.5" diameter rubber ball connected at right angles to a 1.25" x 2.5" inch diamond plate. The base has two holes 1.912" from center to center, positioned at both ends of the diamond base.